Want to build a perfectly balanced physique? 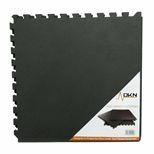 The DKN Studio 7400 is designed to help you achieve just that. This high-quality all in one training hub will help you to build and tone muscle at home through a wide variety of targeted, effective workouts. The 7400 home gym allows you to perform a range of exercises designed to specifically target areas that you want to work on so you can build the body you've always wanted. 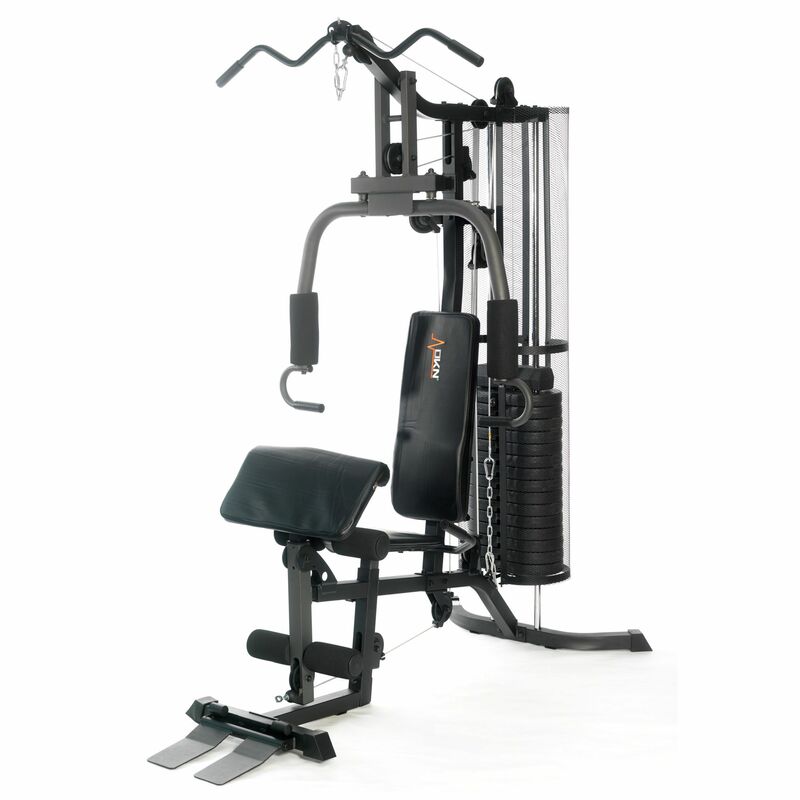 Featuring multiple workout stations including a high & low pulley, a dual-action chest station (chest press and pec-deck), an adjustable preacher pad, a one-piece butterfly press and a leg curl station, the 7400 really takes some beating. 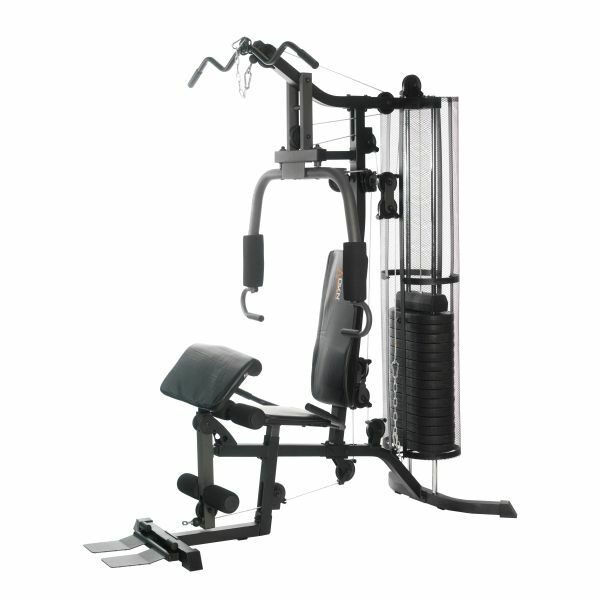 Whether it’s pulldowns, rows, shoulder raises, bicep curls, chest presses, leg extensions, leg curls, inner / outer leg kicks or any one of the other available exercises the 7400 will help you to efficiently tone and increase muscle in your whole body evenly. Get your chest, back, shoulders, biceps & triceps, core, quads, calves and more burning! The upholstery is made to last and to make sure that you’re always comfortable the multi-position seat features extra padding and support and can be adjusted to suit different users. This ensures you’re always in the right position when performing your chosen exercise so that you can train harder for longer. The 80kg (176.3lbs) weight stack provides a practical level of weight resistance for maximum effectiveness. So, whether you've never lifted a weight in your life or are an experienced gym user, this rugged, hard-wearing, quality multi gym for home use will provide you with the tools you need to build strength, lose fat, tone up and pack on a whole lot of muscle at home! Excellent home training hub for complete power training. for submitting product information about DKN Studio 7400 Multi Gym We aim to answer all questions within 2-3 days. for submitting product information about DKN Studio 7400 Multi Gym. We aim to answer all questions within 2-3 days. If you provided your name and email address, we will email you as soon as the answer is published. Does it have concealed bearings in the pulleys? Hi Spinello. Yes, it does. Does this machine have concealed ball bearing pulley system? Hi Diamond, the multi gym has a double pulley system. It offers high and low pulley stations for back exercises such as pulldowns and rows. I'm quite tall (6ft 4) can I use this? Hi, is the seat adjustable? Yes, it is a multi-position seat which is also height adjustable to suit different users. Can additional weight plates be added to the weight stack? Unfortunately not, it is not possible to add extra weight plates to the weight stack . Can you do butterflies on this machine? Yes you can, it has a chest fly station on it. What is the maximum height of the machine? The maximum height is 210cm (82.6”). Does the ankle strap accessory come with this machine? Yes, the DKN Studio 7400 Multi Gym is delivered with an ankle strap accessory. Are both the seat and preacher pad height adjustable? Yes, the main seat and the preacher pad are both height adjustable. Excellent bit of kit and can honestly say the customer service was superb - very quick delivery and spot on communication. Both my son and I have been impressed with the quality of the Multi Gym and it is well worth the money. The instructions for assembly could do with a little more clarity and, in my opinion, a socket set helped the assembly to be a lot quicker than it would otherwise be. Extremely pleased with the quality of this product, which surpasses my expectations. The build instructions are well written and parts easily identified. The build went together very well without any problems. For its price, the product is well made and very versatile. My only criticism is the lack of operator instructions. The multi gym is quality made and provides a great range of exercises. I read 100s of reviews on various gyms and am not disappointed with the product. Only thing to point out; if you are tall (I am 6ft2) the leg extension exercise if not suitable to use. Otherwise, very happy with the product. Really pleased with this buy. It's the perfect finish to our gym. You can due numerous weight exercises. I would definitely suggest you measure the space available before you order as it is quite big. Also, this is one that you should pay the extra £175 for assembly. It comes with so many tiny parts that even the professionals that assembled it were scraping their head at times. It took them about 4 hours. What a great piece of kit for the money. A little fiddly to put together and took a bit of time but worth it.Delivered on time in excellent packaging.It is sturdy,takes the hammering,looks great, but one word of warning to potential buyers,the seat is very short from the back to the foam rollers of the leg raise, so if you've got long legs( not a problem for me) you may find some of the exercises would become strained and lead to bad posture and possible injury. Once up, phew, it proved to be the best multi-gym I have ever owned. Very high quality padding and construction. Most definitely an £800 product so for £379 it's a steal. 80kg stack should be more than adequate for home use and the machines operation is smooth and reassuring. You really do feel like you are using a professional gym's equipment. Solid multi gym. A bit of a task to build but once completed we were very pleased. Quality item that is definitely value for money. Excellent sturdy, well made kit! Takes a while to assemble but worth it! Love this bit of kit. Took a while to set up but once i did it easy enough to crack on with your workout. Probably wont ever use all the weight that come with it but you can push yourself as hard as you want then or just have a nice chilled session doing lots of lower weight reps. Pull downs can be a bit of a pain because its a bit crammed but otherwise ok. Well worth the money. 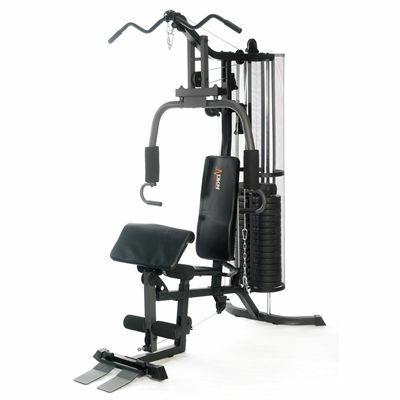 for submitting product review about DKN Studio 7400 Multi Gym.